As you know I love cooking and baking but I will admit to not being the tidiest of cooks. Once I have finished in the kitchen it often looks like a bomb has hit the room! I love cooking and making the mess but like many other I really do not like the cleaning up afterwards. I have a cupboard full of different products and often do worry what health effect they can have on the children, the cat and the dogs. A lot of the products have strong aromas and I have even used some which have made me cough if I breath in the after spraying! It is not only our health that I worry about, but also the environment. We try to be as environmentally friendly as we can, we recycle everything possible and try to reduce our carbon footprint. They even have their own loyalty scheme! As you can imagine I was curious to see whether their products would compete well with the many other ones that I have tried! So far I have tried the dust pan and brush, the utility brush and the all purpose cleaner. All of the products that have been made with the Eco-Flex are of the highest quality and are such strong products that you can immediately tell have been made to last. 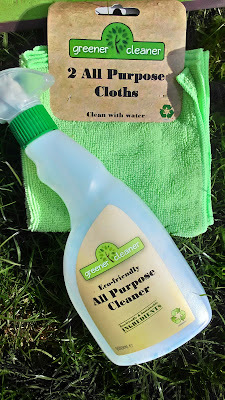 I have found all of the items that I have used to be great, but I am most impressed with Greener Cleaner's All Purpose Cleaner! 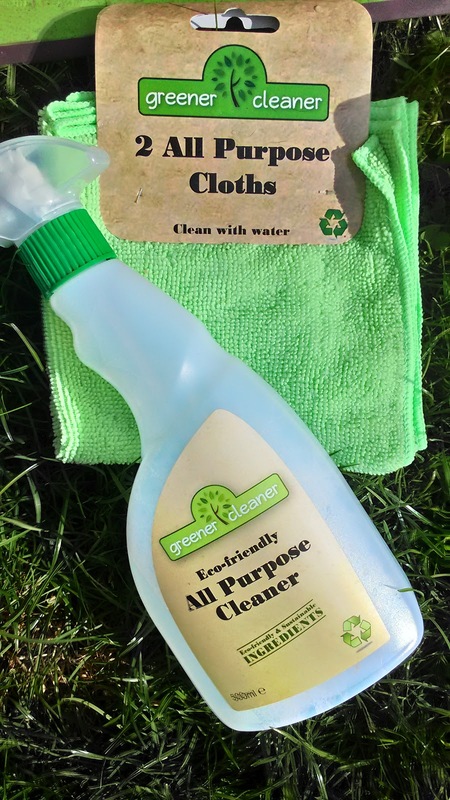 It has no sharp aromas and cleans so much better than the other all purpose cleaners and offers the same anti bacterial benefits. I have found the spray cleaner to easily wipe off any grease, dried on marks and even ground in mud on the floor. We have dogs so there are always muddy paw prints after it has rained. This spray easily wiped the marks away! I will definitely be investing in more of their liquid cleaning range! I have even joined their loyalty scheme, I have been that impressed with their product I will be using them from now on. 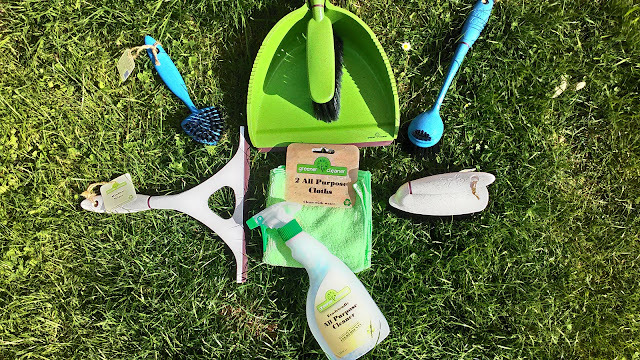 Greener Cleaner are kindly giving away a cleaning bundle, similar to the one pictured above, to a lucky Hijacked By Twins reader. To be in with the chance of winning simply complete the Rafflecopter below. Once the winner has been selected and notified they will have 7 days to respond. If no contact is made a new winner will be selected. Disclosure: I was sent the cleaning bundle for the purpose of this post. No cash payment was received. All views and opinions are my own and 100% honest. 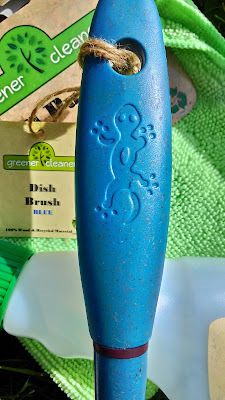 It would help me give my utiliy room a good clean - muddy paw, hand an feet marks! the whole house could do with it lol but my teenage sons room mostly! I've got my mother in law coming to stay soon! My whole house needs a de-gunge HELP! The bathroom is past needing a clean lol!!! Summer clean after the kids have gone back to school. Making our kitchen floor shine - it needs a real clean! Kitchen and bathroom could do with a god scrub!! My kitchen - lots of daily cleaning to do there! My bathroom definitely needs a deep clean, been avoiding it for ages! The bathroom, its the job i put off the most! My kitchen is always in a mess, so the prize will help me with that. Cleaning the bathroom here - it's a horrible job! We are about to move out of our rental into our first house so I need all the help that I can get! ;) I have asthma and many other ridiculous allergies so I use as many eco friendly / natural products that I can already! Fingers crossed! This would help me with all my cleaning chores particularly the kitchen & bathroom which is a never ending chore!!! Blitzing the Bathroom after a hoard of teenagers have used it - Yuck!!! The three times daily post mealtime mess that the kids leave! i need to clean my daughters bedroom when she goes to Uni next month. I have just bought my first flat. So I would really appreciate winning these goodies! The all purpose cloths would most certainly help me clean up my little boys mess! Cleaning the bathroom, it takes soooo long! This would be great for cleaning out my kitchen. I have recently moved in to my new flat and this would be a big help in the deep clean I have planned for my kitchen. Just the thing to take away in the family motorhome. Cleaning up after my big fluffy house bunny! Well it's almost time for a big deep clean before the winter sets in so I would use it for that! The kitchen always needs a good clean and these would help a lot! I have a three year old and 5 month old...enough said! my kitchen is a greasetrap - especially after frying sausages. need a helping hand. It will help me with the endless task of cleaning up the house after 9 kids over the Summer holidays! It would help me with a deep clean of my kitchen! It would help me with literally everything, I need a deep clean at the moment! Everywhere! But mainly the kitchen! We have two new puppies coming into the family in the next few weeks, so this prize will come in handy for 'puppy accidents'! you sound like you could be my daughter, taught by her mother how to devastate a kitchen in the name of baking. 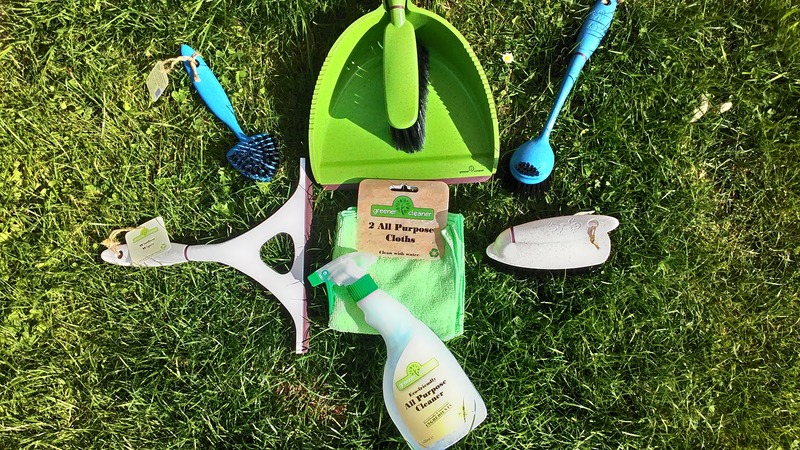 It'll help me clean up after my mucky dog too!